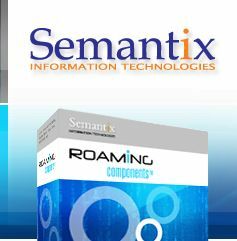 All TAP3 Semantix Roaming Components are available in three editions, each suitable for different development and deployment scenarios. Single TAP3 release edition: This edition is suitable for operators or organizations that require TAP3 processing for a single release of TAP3 protocol. For example, if you purchase the single edition of TAPValidator for TAP3.09, it means that you will be able to process only TAP3.09 files (and not, for instance 3.4 or 3.10). Note that for the special case of TAPx2TAPy, single edition is actually single-pair edition (source and destination TAP release). All TAP3 releases edition: This edition supports all TAP3 releases. Moreover, if you purchase this edition, then with a 12% annual fee your get the new TAP3 releases as they become available for free. For NRTRDE, TD.35 currently specifies only one release (NRTRDE 2.1). For all editions, the license is machine-based no matter how many users directly or indirectly use the software.